I remember I read the back of this book and was pretty ambivalent about it. But let me tell you, so worth reading! In the previous novels, there is one character who is so annoying. 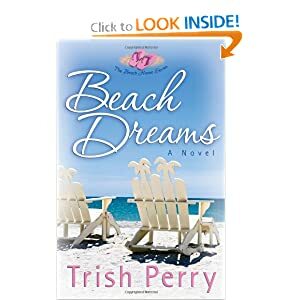 Trish Perry turned around and gave her, her own romance and made her an unforgettable heroine! 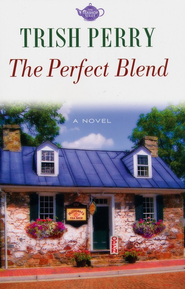 This novel isn’t all romance, but the storyline is fantastic! 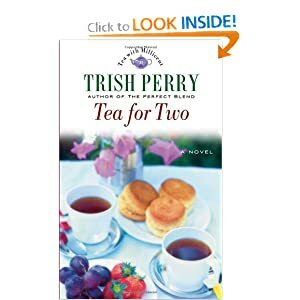 A great series that had me laughing in the bookstore (for the record, I don’t do that anymore…read books in the bookstore :)). If you haven’t tried Ms. Perry than you should. 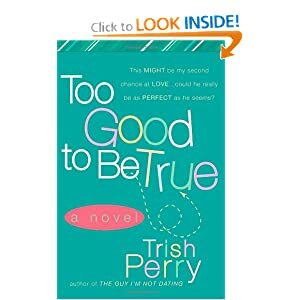 She has a great blend of reality, humor, and romance that will just make your day. Anyone have a favorite of hers? Next Post Monday Musings…Are Christian Reviews Biased? Hey, I have question for you. Do you buy the books or do you read them online? If you read them online. Which e-reader would you recommend a nook or a kindle? Up until two years ago, I mostly bought the books I read or found them at the library. Now, I read a ton on the kindle. I have never used the nook, but I heard that Barnes and Nobles is fazing out the nook so I say go with a kindle. And I also just plain love my kindle. Which Kindle do you have? The kindle fire? Which one would you recommend? I got my kindle two years ago, so it’s the old one with buttons. lol. I actually prefer the buttons to the touch screen kindle. That said, if I got one tomorrow I would go with the kindle fire because I like that it shows you the covers of the novels (in color!) and I think it lights up in the dark which is a feature the original one doesn’t have. I would not get kindle fire HD unless I knew I was really going to be watching movies on it. Also, I don’t have an ipad which is why I would get the kindle Fire. If you have an ipad and just need an e-reader, then just the kindle paperwhite (or ordinary kindle) seems sufficient.